As we prepare to wish a fond farewell to Degas’s Dancers: Point and Counterpoint, we bring you a Degas a day through the exhibition’s final curtain on January 8. 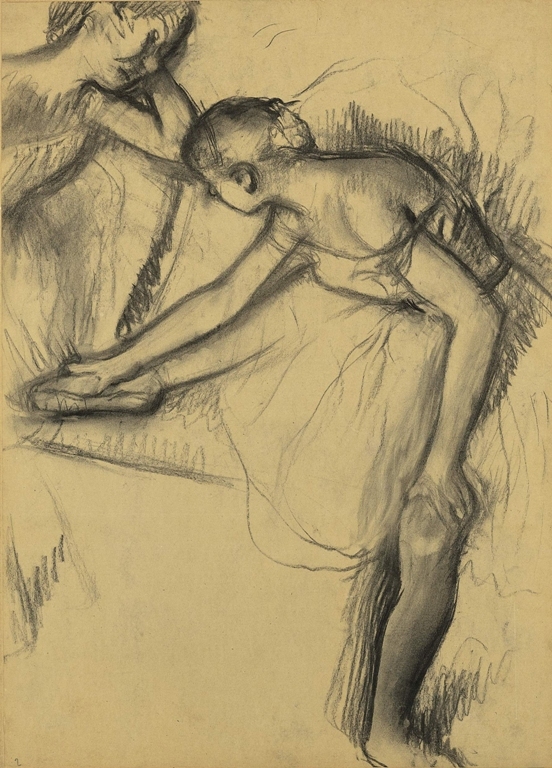 Hilaire-Germain-Edgar Degas, Two Dancers Resting, c. 1890–95, Charcoal on paper, 22 3/4 x 16 3/8 in. Private Collection. This entry was posted in Exhibitions and tagged Edgar Degas. Bookmark the permalink.